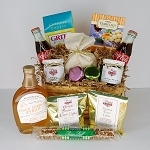 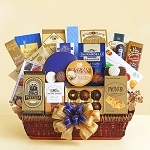 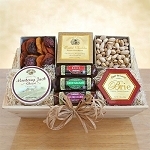 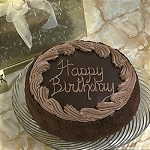 For any special occasion, give this classy Gourmet gift filled with everything they desire. 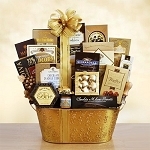 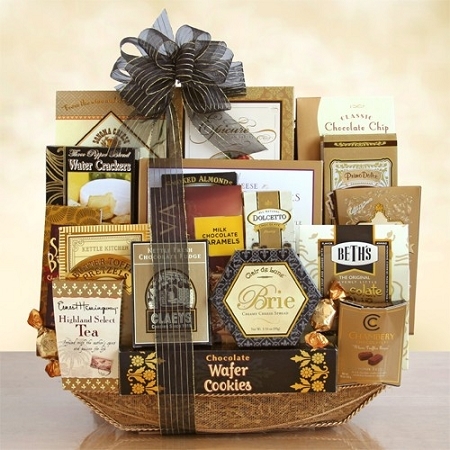 A gold mesh basket holds chocolate truffles, chocolate cookies, cheese, crackers, butter toffee pretzels, tea, chocolate fudge, chocolate chip cookies, Godiva milk chocolate caramels, hot cocoa, Classic chocolate chip cookies, European cookies, Sonoma cheese straws, biscotti and pastry cookies. 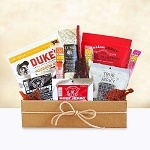 All tied with a sophisticated black bow.